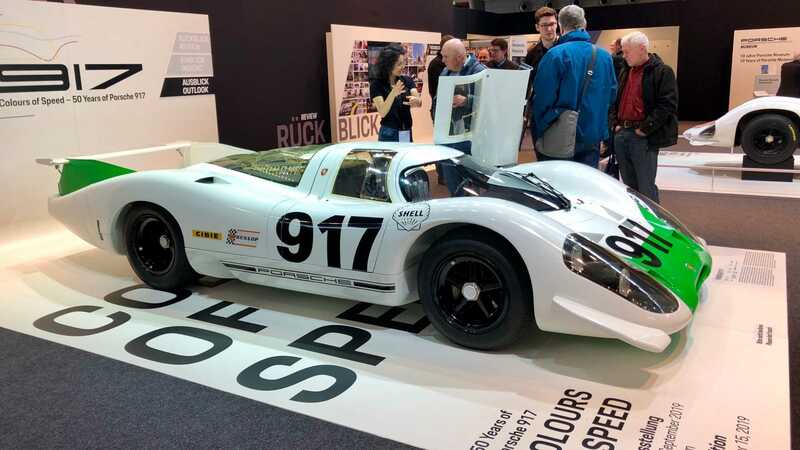 The Porsche 917 is arguably the most famed racing car the German marque has ever made. 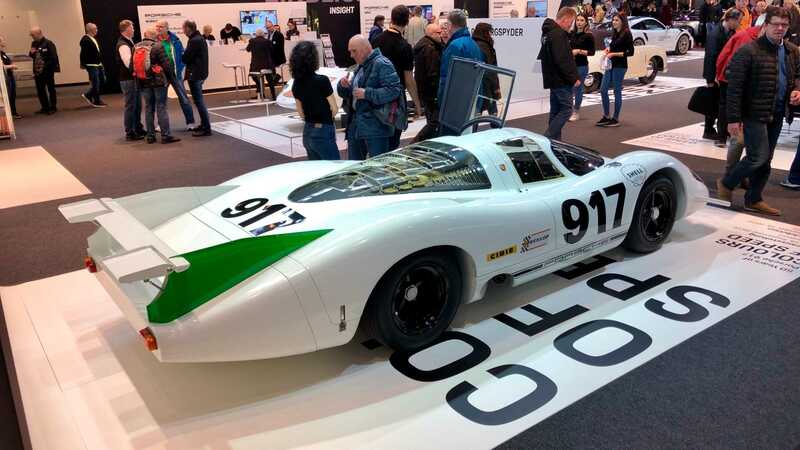 It would become the machine to deliver victory at the Le Mans 24 Hour, cement Porsche’s legacy in top tier motorsport, and even star in a Steve McQueen movie. 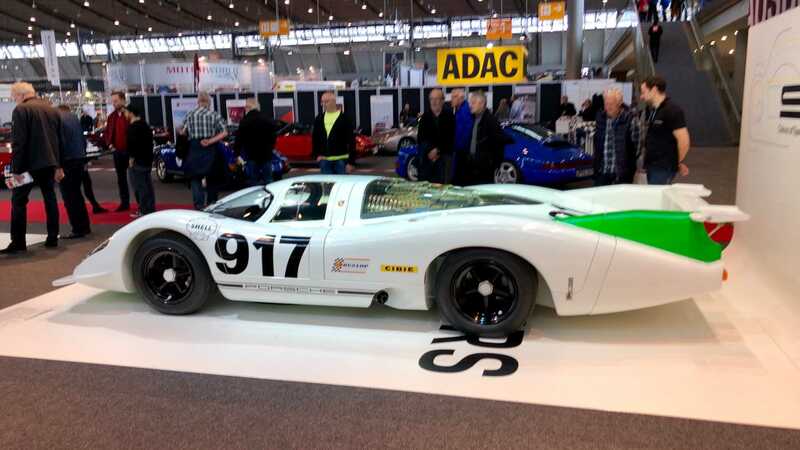 Fresh from a total restoration by Porsche, 917 No.1 has been revealed at Retro Classics in Germany. 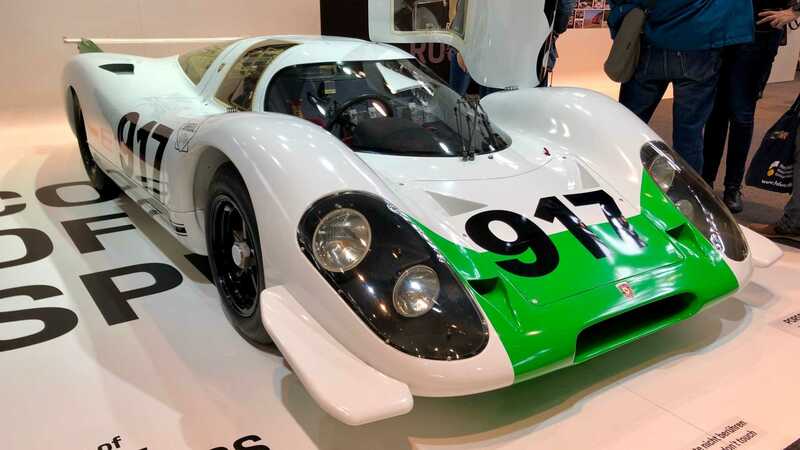 Presented as it was first seen at the 1969 Geneva Motor Show, the pristine 917 represents Genesis for the dominant breed of racing car. The incredibly low-slung model is far smaller than it appears in photography, in fact, it’s no taller than a crouching adult in reality. 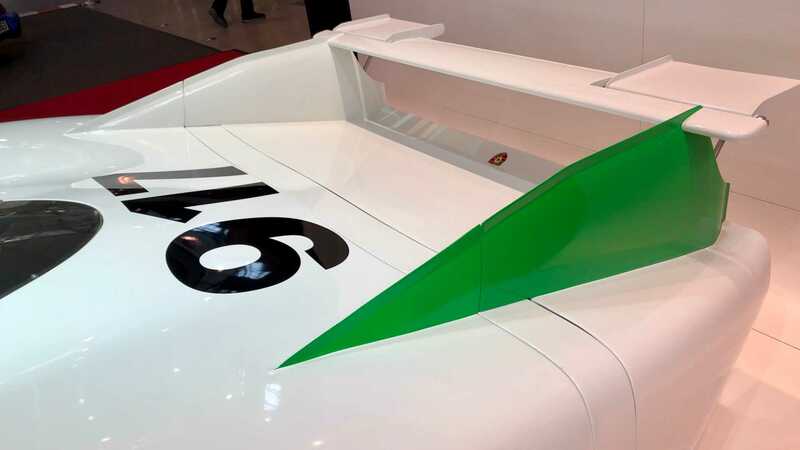 Its considerable length comes thanks to the Porsche’s slippery aerodynamic bodywork designed to achieve speeds in excess of 200mph down the legendary Mulsanne Straight. 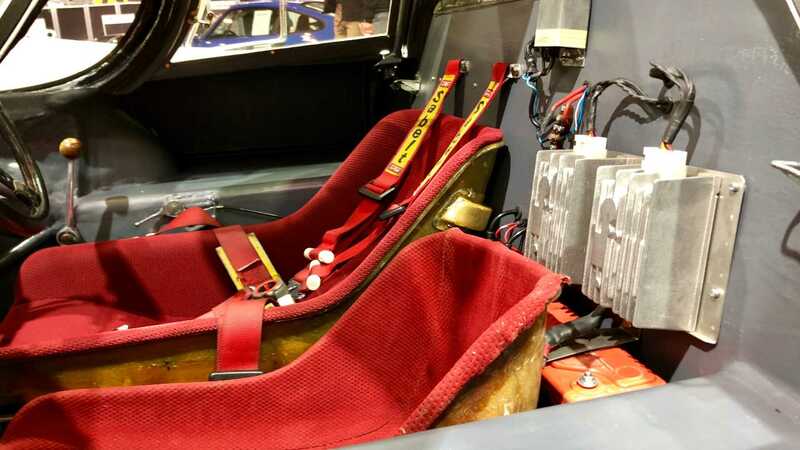 The cockpit hosts two primitive bucket seats that positions occupants almost horizontally. Peering inside highlights the true venerability of the driver with a minimalist space frame the only thing keeping the car together. 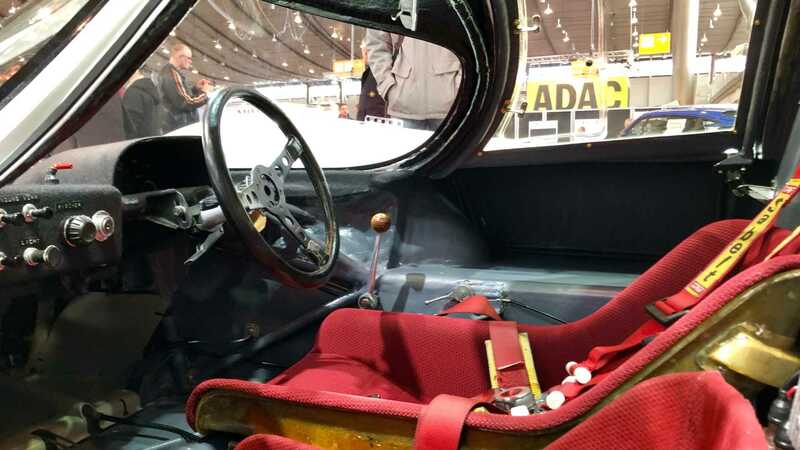 Next to the surprisingly large three-spoke steering wheel is a manual shifter topped with the traditional wooden gear knob. 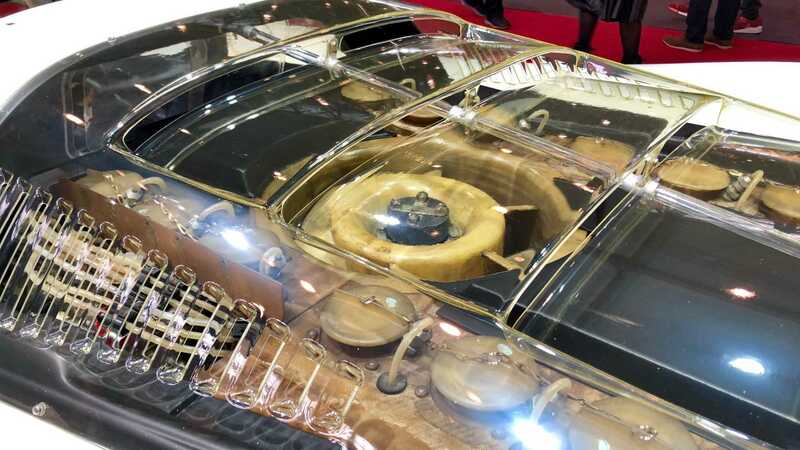 Buried deep inside the car’s chassis is a Type 912 4.5-liter flat-12 engine. 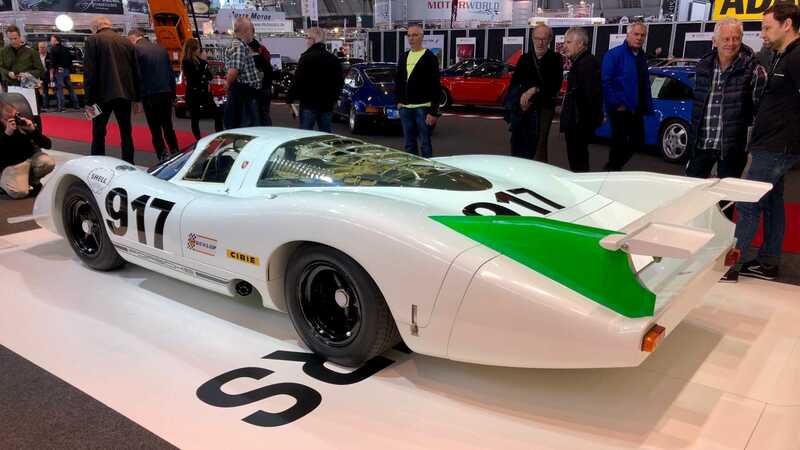 Built from many exotic lightweight alloy metals, this motor initially produced 520hp in the 917 — a car that weighed that weighed just 800kg. 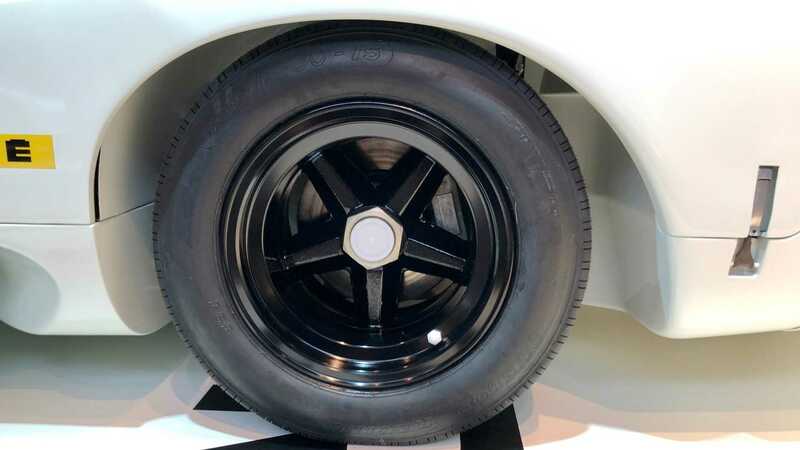 Just like 911s of the period, the 917 was also air-cooled and required a large horizontal fan that is now synonymous with the model. 2400-liters of air per second was required to cool the engine at race speed, something that needed 13hp of the engine’s performance facilitate. 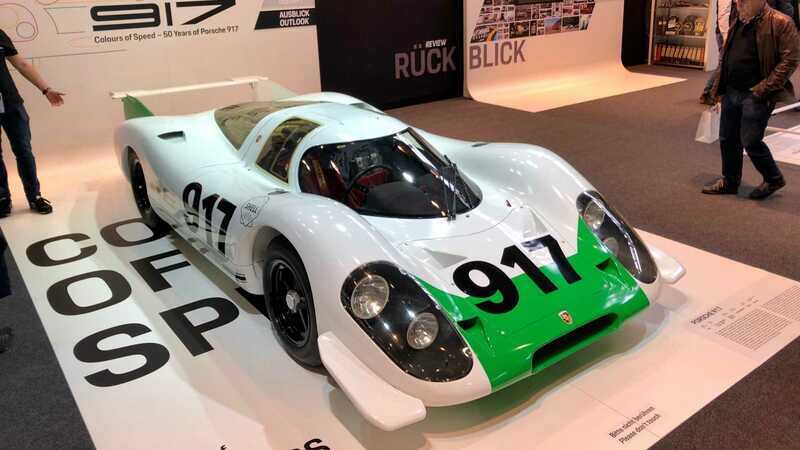 Porsche 917 No.1 didn’t enter any races after its debut at Geneva in 1969. Instead, the car was used as a mule for research and development to support the racing effort. 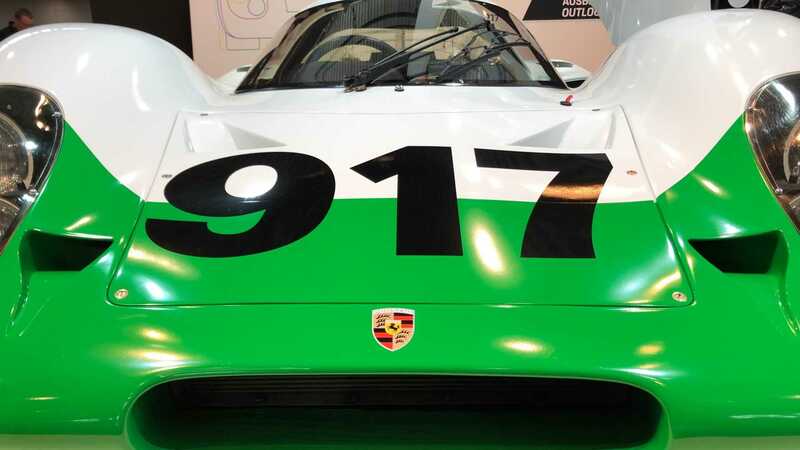 Over the years it was presented in various colors, and after Porsche won Le Mans in 1970, it was converted to 917K specification. 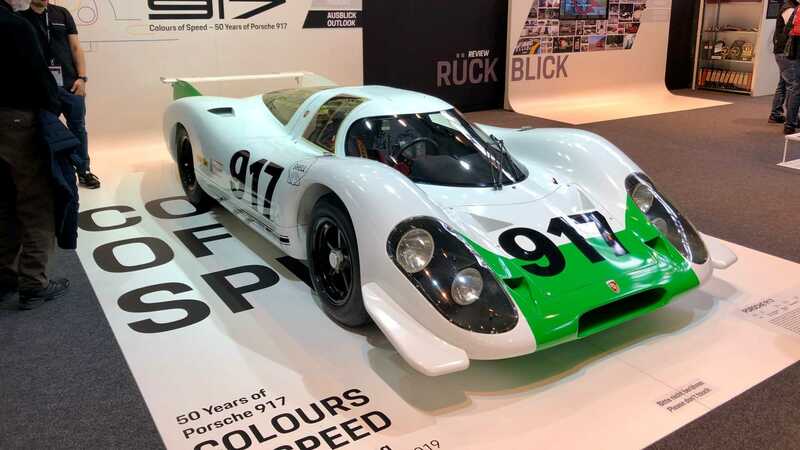 Years of display around the world, and eventually retiring in the Porsche Museum, Porsche decided to return the car to its original specification in time for the 917’s 50th anniversary. 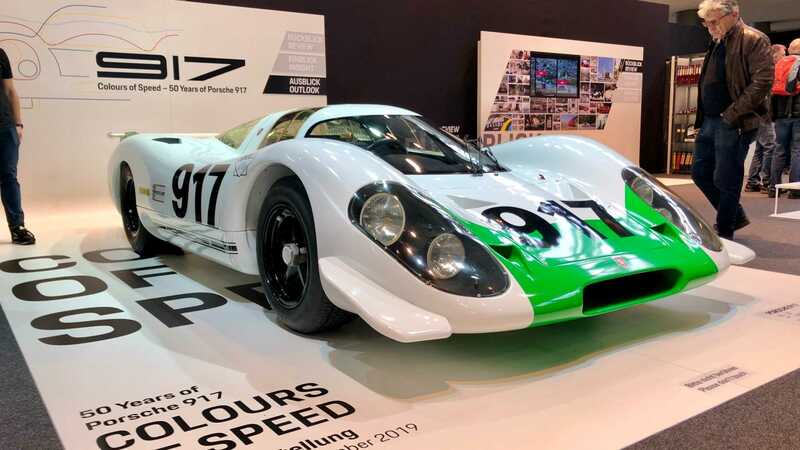 Today Porsche 917 No.1 has been returned to its original condition with the German manufacturer using cutting-edge 3D technology to insure it is as accurate as possible. 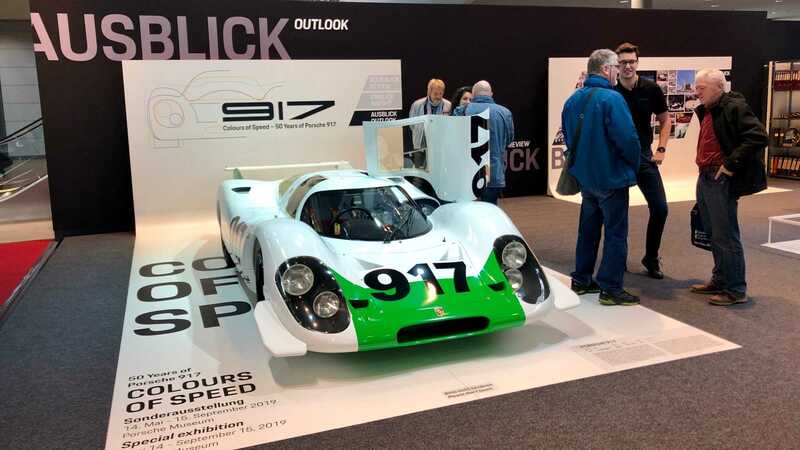 Drawing quite a crowd at its first public debut, this piece of Porsche history is a must-see if you’re visiting Retro Classics this weekend.